Chrysotile products were widely used in daily life, and a large amount of respirable dust was produced in the process of production and application. At present, there was seldom research on the safety of chrysotile fiber dust, and whether its long-term inhalation can lead to lung cancer was unknown. 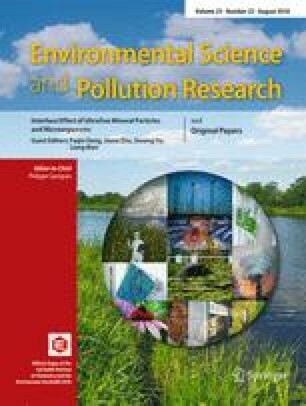 In order to determine whether respirable chrysotile fiber dust of China caused lung cancer, four major chrysotile-producing mine areas in China were selected for this study. Chrysotile fibers were prepared into respirable dust. Particle size was measured by laser particle analysis, morphology was observed by scanning electron microscope, chrysotile fiber phase was analyzed by X-ray diffraction, trace chemical elements were identified by X-ray fluorescence, and the structure and the active groups of the dust were determined after grinding by Fourier transform infrared spectroscopy. Male Wistar rats were exposed to non-exposed intratracheal instillation with different concentrations of chrysotile fiber dust. The rats were weighed after 1, 3, and 6 months, then the lung tissues were separated, the lung morphology was observed, and the pulmonary index was calculated. Pathological changes in lung tissues were observed by optical microscope after the HE staining of tissues, and the gene expression of p53 and p16 was determined by reverse transcription polymerase chain reaction. First, the results showed that the particle sizes of the four fibers were less than 10 μm. Four primary areas of chrysotile had similar fibrous structure, arranged in fascicles, or mixed with thin chunks of material. Second, the elementary composition of the four fibers was mainly chrysotile, and the structure and the active groups of the grinding dust were not damaged. Third, the weights of the treated rats were obviously lower, and the lung weights and the pulmonary index increased significantly (P < 0.05). Fourth, the treated Wistar rat lung tissues revealed different degrees of congestion, edema, inflammatory cell infiltration, and mild fibrosis. Fifth, the p53 and p16 genes decreased in the Mangnai group after 1 month of exposure, and the other groups increased. The expression of p53 and p16 in each group decreased significantly after 6 months (P < 0.05). In conclusion, the respirable chrysotile fiber dust from the four primary areas of China had the risk of causing lung injury, and these changes may be related to the physical and chemical characteristics of chrysotile from different production areas. This research was funded by the National Natural Fund Project of China (No. 41472046), the Key Program of the National Natural Science Project of China (No. 41130746), the Science and Technology Project of Sichuan Province, China (No. 2016JY0045), and the Department of Sichuan Province Natural Science Foundation of China (No. 14JC0126).